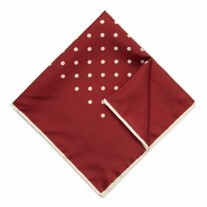 The Polka Fox: The Polka Fox is an important hankie in the men’s accessories world. 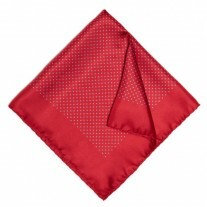 This classic Red Fox and Luther silk pocket square is a must have. If it’s that smart look you’re going for, or the man about town – this one’s for you. 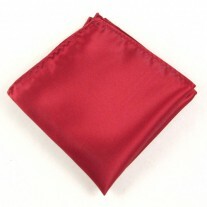 A get your money’s worth product, its fabric is durable and will give you years of wear, ideal because this hankie just doesn’t seem to go out of fashion. The silk fabric will also ensure a new fold every time and if you want to play it dull for a change turn the square over and show the bordered red edge. Ambidextrous! 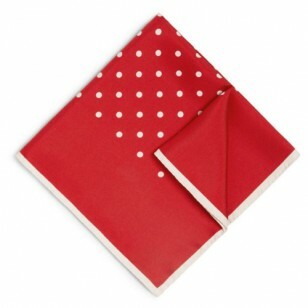 Our Suggestion – Red Polka Dot Square and Navy Jacket.